The Federation of Children’s Book Groups is a national voluntary self-funded organisation whose aim is to promote enjoyment and interest in children’s books and reading and to encourage the availability of books for children of all ages, from first picture books to young adult. Oxford Children’s Book Group is As you know our next conference, Opening Doors, hosted by Lewes and Oxted CBGs, will take place at Woldingham School, Caterham from 12th -14th April 2019. Places are filling up fast so make sure that you don’t miss out. The provisional programme and a booking form are attached.part of the Federation. ALL YEAR LONG 2018: FCBG GOLDEN ANNIVERSARY CELEBRATIONS. 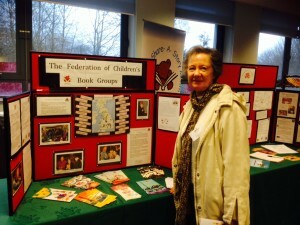 The FCBG will celebrate 50 years since it was founded by Anne Wood in 1965, to promote enthusiasm for and about children’s books. All local Book Groups are being encouraged think of exciting and golden ways we can work together to celebrate this important milestone in golden style. Please make contact if you have any ideas or you would like your local school or community to become involved. 2018 will be a very exciting year for the Federation of Children’s Book Groups as they celebrate their 50th anniversary. Lizzie Stewart and Heather Crossley. The Federation holds an annual weekend conference every year. The 2017 conference ‘Write Around the World: Broadening Horizons’ took place in Reading from Friday 7th to Sunday 9th April 2017 at The Oratory School. 2015 – 2017 UK Children’s Laureate Chris Riddell, historian and TV presenter Lucy Worsley, children’s authors D J Brazier, Caighlan Smith, Jo Cotterill and Jon Walter, performance poet A.F. Harrold and writer, editor and translator Daniel Hahn. 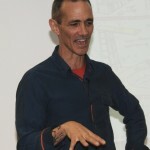 Latest confirmations include Nick Denchfield, Wendy Cooling, Giancarlo Gemin, Martin Brown, Bev Humphrey, Margaret Bateson-Hill, Kes Gray with Rachel Bright, Emma Shoard with Barrington Stoke’s Bucket List, Cas Lester, Petr Horacek, Nicola Davies and a small publisher panel with Alanna Books and Book Island. Read more about the event on the Federation website. This was my first national Federation Conference but I hope it won’t be the last because we had a wonderful time with sparkling, inspirational speakers, generous and enthusiastic publishers and plenty of free books and materials. The three days were intensively packed with authors and poets, illustrators and critics, exhibitions, publishers’ stands, interactive sessions, thought-provoking seminars, discussion panels, great company, and plenty of good food, cocktails and cupcakes! The conference title was Building Bridges, Making Connections, Growing Readers and opened and closed with a focus on myth, folk tale and legend. 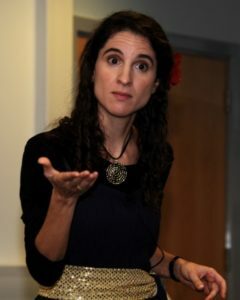 Anna closed the conference and launched the project with a stunning performance of an old Persian tale, thereby provided a neat link to opening speaker, Katherine Rundell, who had shared her love of Russian folk tales with an enthralled audience two days before. Andy Griffiths had come all the way from Australia to share his highly visual, quirky and hilarious series about the 13-storey, 26 storey, 39 storey and 52 storey Treehouses. There are too many authors to mention in detail but they included: John Boyne, Phil Earle, Joseph Coelho, Curtis Jobling, Harriet Reuter Hapgood, Sara Bernard, Horatio Clare, Mike Revell, Shane Hegarty, Pamela Butchart, Jenny Downham, Daniel Hahn, Jane ray, S F Said, and Piers Torday. What a privilege to meet such a varied and stellar line-up! The Federation also owns and co-ordinates the annual Children’s Book Award every year. Formerly known as the Red House Children’s Book Award. This is the only book awards voted for by children. For more the information on the 2017 Children’s Book Award click on the Federation page for this year’s Award. The shortlisted books are listed here. Voting has now closed for 2017. 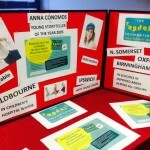 The Overall Winner and Category Winners will be announced at the Award Ceremony on Saturday 10th June. Follow the Federation on Twitter #FCBGCBA17 to be the first to hear the news. See their page dedicated to this year’s awards here. 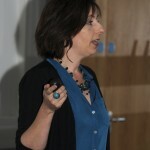 You can read about the 2013 Award ceremony here; and a personal view from an Oxford Children’s Book Group member here. 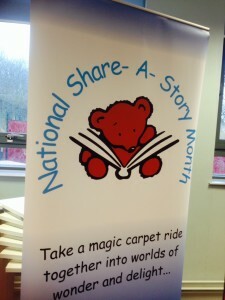 In 2016, NSSM took place during May 2016 and the theme for 2016 was ‘A Place for Stories’. The idea is to encourage the telling and sharing of stories in unusual (but safe) places. Anywhere from under a tree to aboard a canal boat or a cross channel ferry, in the depths of a castle, on a bridge or under a bridge, under the bed, in a café, at a stately home, in the depths of a forest, a tent, at the bottom of the garden, in a bird hide, on an island, at a museum, at a fairground, on the bus, on a park bench…the ideas are endless. Click here to see details of activities of other groups around the country: NSSM 2016 planned events! The Federation will be asking for reports and photos of the events and of youngsters reading in unusual places which will be celebrated on their website.